 Rabbit anti Mouse MIP-1 alpha antibody recognizes mouse Macrophage Inflammatory Protein-1 alpha (MIP-1 alpha), also known as CCL3. MIP-1 alpha plays an important role in the inflammatory response of blood monocytes and tissue macrophages. Antisera to mouse MIP-1 alpha were raised by repeated immunisations of rabbits with highly purified antigen. Purified IgG was prepared from whole serum by affinity chromatography. This product may be used in an ELISA with PMP32 as the antigen. Keepers, T.R. et al. (2007) Monocyte chemoattractant protein 1, macrophage inflammatory protein 1 alpha, and RANTES recruit macrophages to the kidney in a mouse model of hemolytic-uremic syndrome.